Glastonbury Abbey is world-renowned, an ancient location tied to British myth and legend. 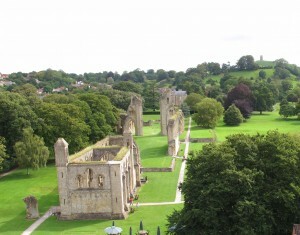 The site of various archaeological investigations for 75 years, the Abbey’s prominent reputation and long history have served to maintain the public’s fascination for years. A new book from Professor Roberta Gilchrist and Dr Cheryl Green gathers all the archaeological evidence over the past century and reinterprets it to discover the truth behind the mythology, including the suggestions of a deliberate strategy of antiquated architectural choices, challenging the discovery of King Arthur’s grave, and finding evidence of occupation of the site long before the earliest Christian settlements. Glastonbury Abbey was renowned in the middle ages as the reputed burial place of the legendary King Arthur and is the site of the earliest Church in Britain thought to have been founded by Joseph of Arimathea. The aim of these legends was to establish Glastonbury as the pre-eminent monastery in England and attract thousands of pilgrims and wealth to the abbey. This strategy proved successful; Glastonbury became a major pilgrimage centre and was the second richest monastery in England at the Dissolution. The Abbey has undergone no less than 36 seasons of excavation from 1904 to 1979 under 8 different directors. The most significant excavations were carried out by Dr Courtenay Arthur Ralegh Radford in the 1950’s and 1960’s; he was interested in finding evidence for Arimathea’s early church and also claimed to have found the shared grave of Arthur and Guinevere. Glastonbury’s central importance to archaeological scholarship stems from the interim report published by Radford in 1981. Due to his findings, Glastonbury has become a ‘type’ site against which the evidence of all early monasteries is appraised. However, none of the results of these important excavations have been published in their entirety. That is, however, until now! 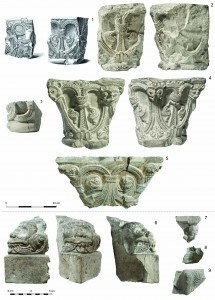 A new 500- page, colour monograph, Glastonbury Abbey: archaeological investigations 1904-79, co-authored by Prof. Roberta Gilchrist and Dr. Cheryl Green and published by the Society of Antiquaries, lays out the results of the re-examination of the antiquarian excavation archive and the archaeological collections. The monograph harnesses modern scientific methods, such as radiocarbon dating, chemical analysis of glass and digital analysis of plans, to bring the archaeology of this important medieval monastic site into the public domain. The complete dataset is also available to the public through a digital archive hosted by the Archaeology Data Service. The main aim of the monograph was to set aside previous assumptions based on the myths and legends and to provide a rigorous reassessment of the excavation archive. Research revealed that some of the best known archaeological ‘facts’ about Glastonbury are themselves myths perpetuated by the abbey’s excavators. Evidence was discovered for prehistoric and Roman occupation pre-dating the earliest Christian settlement at Glastonbury. New evidence for occupation on the site of the Abbey in the 5th to 6th centuries, pre-dating the earliest documented Saxon monastery at Glastonbury. Excavations in the 1920s revealed three phases of a Saxon stone church with detached burial crypt to the east. 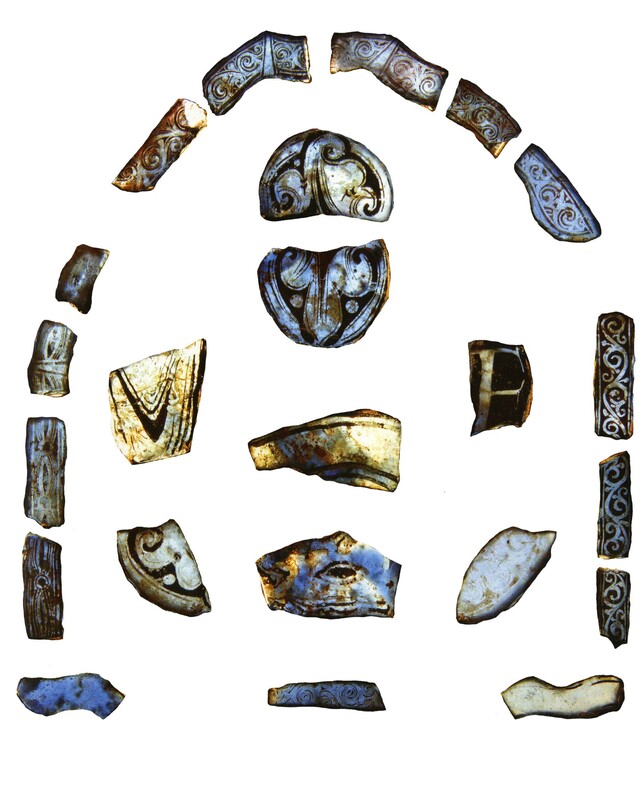 An excavated complex of five glass furnaces represents amongst the earliest and most substantial evidence for glass-working in Saxon England. It was radiocarbon dated to the late seventh or early eighth centuries, refuting Radford’s earlier conclusions that it dated to the tenth century. Several details of Radford’s interpretation of the early monastery are challenged, including the existence of a pre-Christian ‘British’ cemetery and the discovery of Arthur’s grave. Re-examination of the records has confirmed evidence for the Norman and later medieval monastic ranges and revealed the sequence for the replacement of the Saxon and Norman buildings. The monastic character of the medieval finds assemblage is evidenced especially in objects linked with music and literacy, such as bone tuning pegs, book binding tools and styli, and the large number of items for personal devotion that were owned by monks or secular guests and pilgrims. The chemical analysis of clay used to make 7000 ceramic tiles showed that the majority were made at kilns close to Glastonbury. The assemblage of over 2000 fragments of medieval stained glass includes durable blue glass. It is likely to date from the twelfth century and confirms that Glastonbury’s early glazing schemes were of the highest quality. Study of the worked-stone assemblage reveals the lavish cloister constructed by Abbot Henry of Blois, c 1150: the fifty-one fragments of blue lias carving are amongst the finest examples of Romanesque sculpture produced in England. There are many conservative or retrospective elements evident in the architecture of Glastonbury Abbey; this tendency seems to have been deliberate and strategic, aimed at demonstrating the antiquity of Glastonbury and its pre-eminent place in monastic history. The results of the archive project will reach new audiences through a follow-on project funded by the AHRC (1 Oct 2015- 30 Sept 2016). Roberta Gilchrist and Dr. Rhi Smith will work with the Trustees of Glastonbury Abbey to implement a reinterpretation strategy aimed at visitors to the Abbey, the local community of Glastonbury and the wider public. Partnership between the University of Reading and the Trustees of Glastonbury Abbey will enable the charity to improve the quality of site interpretation and education offered to visitors. Interpretation of the ruins and museum collections will be informed by new academic research and presented in more creative and accessible formats including digital reconstructions and an interactive map developed with the Centre for Christianity and Culture, University of York. It will also explore the local legends of King Arthur and Joseph of Arimathea, as well as improve understanding of spatial layout, chronological development and archaeological evidence.